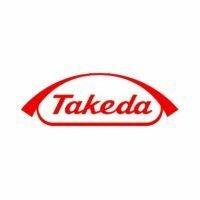 The injection drug Omontys, used to treat anemia in dialysis patients, has been voluntarily recalled nationwide by the firms selling the drug, Affymax and Takeda. Hypersensitivity reactions — including death – were observed in a number of patients being given the drug. Every lot has been recalled and it should no longer be given to any new or existing patient. Omontys was approved by the FDA less than a year ago in March of 2012 and approximately 25,000 doses have been administered to date. The drug was intended to stimulate red blood cell production to overcome anemia, a common and dangerous side effect which can develop during dialysis. The sudden reactions usually occurred within 30 minutes of injecting Omontys. The FDA recall notice stated that about one-third of the reactions were severe, and Forbes reports that three patients’ reactions were fatal. If you have taken Omontys and have suffered severe hypersensitivity reactions, please contact us at 888-341-1405. We will be happy to answer your questions and explore your legal options.